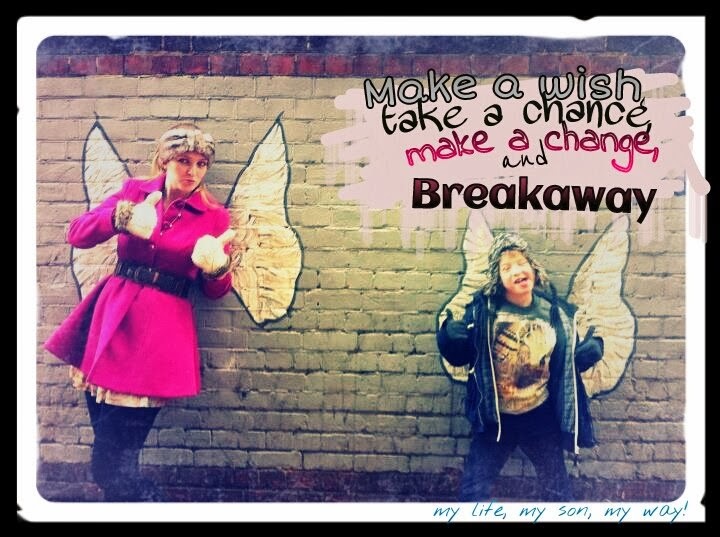 Our Blog of the Week this week comes from Alice who blogs at My Life, My Son, My Way. Here she talks about her journey from young fragile mum of a baby with Down Syndrome to an slightly older but much wiser mother with a beautiful and very special son. Yesterday, as I walked into the children’s clinic, as I’ve done so many times before, I suddenly had an overwhelming feeling of emotion. I can’t quite pin point that emotion, it was both happy and sad and as tears filled my eyes, I felt this huge smile growing upon my face. This little fella was poking out of his mum’s blonde hair, just above her shoulder and with his huge, huge, blue eyes he stared deeply into my heart unleashing this gush of emotion, like he’d unlocked a door long forgotten. Those eyes seemed so familiar, they looked at me like they’d seen me before. It felt so strange. It was as if something had just slapped me in the face and sent me back in time, like a film. This little boy, with his huge blue eyes, had Down Syndrome and looked a spitting image of Kyd as a baby. Something that I don’t have much memory of, so took me by surprise. 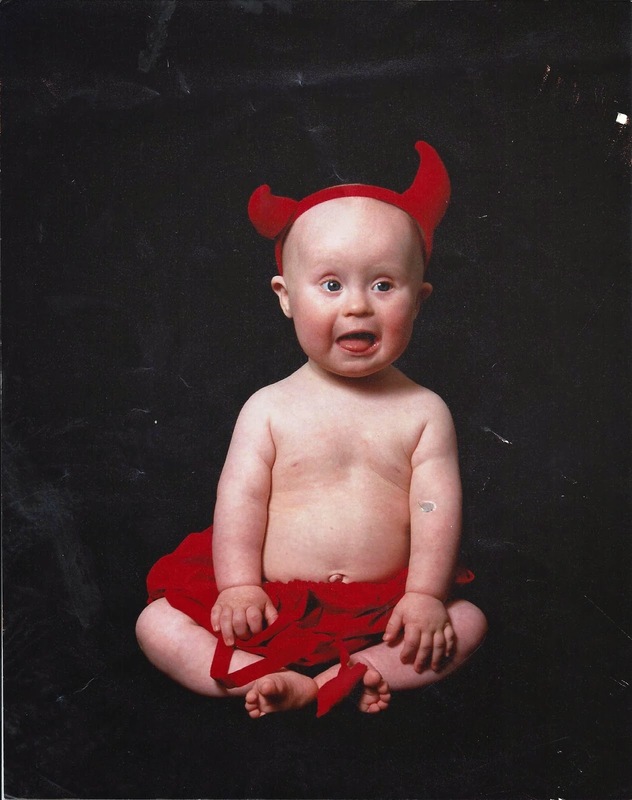 Obviously he was at some point long ago… and isn’t it scary to think that once HE was that little bundle of blue eyed joy and that our journey at that stage was just beginning… our hectic, mad world of Down Syndrome… had only just begun. They looked about my age. They were smartly dressed and his Dad had obviously just come from work specially for the appointment of his new son, because you could tell he wouldn’t miss it for the world. They were buying a ‘Jeans for Genes’ keyring at reception and as I looked at how happy they were chatting with the staff, I couldn’t help but smile and wish I had only had that support way back then. I wanted to go over to them and say ‘Hey’ and ‘ OMG he’s so scrummy, I just want to eat him up’ but as I felt myself just about to say something… I stopped… I remembered that actually if that were me back then and at that stage of our journey, I’d have panicked if I was confronted by an older child with Downs. In fact, I avoided them as much and as often as I could at the beginning, so that I didn’t have to face the future. I remembered that at that early stage, post diagnosis, you tend to shut yourself off from the world. You forget about the future and you just live for that day, because the thought of tomorrow or the weeks or years ahead, is too much to deal with. Your hormones, feelings and emotions are more at this point than they were during pregnancy. Every tiny bit of information goes in but can’t be found an hour later for there is so much to take in. You avoid every question about the diagnosis and answer with simple answers. You smile although deep down, you’re broken. 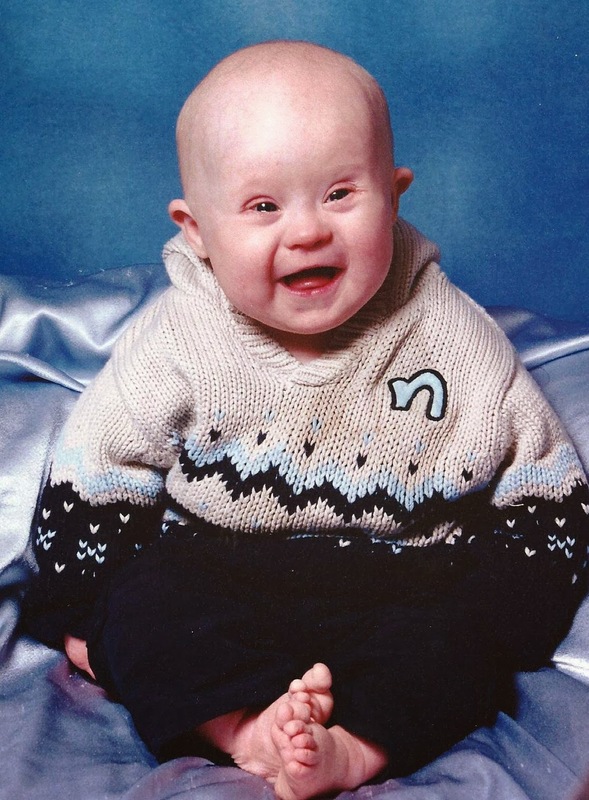 You cry in silence every time you hear the words Down Syndrome. You pretend that everything is fine. Why? because, you are scared if you don’t people will judge you, when really they just mean well and want to be there to support you. Rational thinking seems to leave your train of thought when you are dealing with this and you can’t actually think of anything else but ‘Why me? Why him?’ so asking and answering questions seem to be the last thing you want to do…. Well that is what went through my head at that stage anyway, others might be different. I so wanted to go over and say ‘how are you feeling?’ or ‘it’ll be fine’ or ‘how are you coping with it all’ not because I’m nosey, but because I would love to know that they are OK. But questions and comments like that can come across so patronising or condescending to a new parent, however lovely it sounds in your head or well meaning it is… to a new parent that has just been told their child is disabled or has special needs or will effectively will be ‘different’ for the whole of their lives… those words are often seen as pity or a conversation filler…. Silly really, but it is just something that takes time to re-evaluate in your head and to gage what is genuine concern and love and what is someone not knowing what to say. Plus remember sometimes you may have it wrong and the child isn’t actually disabled or the disability you think it is… it isn’t. It is best not to assume out loud in general and open with something more general until they tell you different. I must admit I hated all of those questions and phrases and words and looks of pity that followed the birth of Kyd. I struggled to answer even the simple questions thrown at me without crying. It was like I was in a test at school and nothing I could say or do was the right answer and so I had the fear of failing at the same time as the desperate attempt and scramble to seem like I was coping and get those answers right… it was exhausting. Saying that, I can’t speak for everyone, that is just what I went through. Some people love it when you speak to them about it from day one, they are positive and ready for anything, but to judge which way that particular parent is going to feel, is something not even they can often do themselves, as feelings can change from day to day and so this should be taken into account. Looking at them holding him so close and watching him gaze deeply into his Daddy’s eyes, made my eyes begin to leak and I was worried they would see. I so want to remember those days. I want to jump back to when Kyd was that young and take a thousand pictures and video every second so that I can watch it again and again and never forget… sadly I can’t and that is all lost and forgotten in a mist of anti depressants and stress and all I have are the little memories that pop back when I see a baby with eyes that match his. I have struggled to look at other babies with downs in past years, I’m not overly sure why but I think it is because I found it so difficult then. I find myself often wishing I could go back to the old me, back when Kyd was a baby, knowing what I do now and change my entire route and mind set on life to avoid the obstacles I’ve jumped over and banged into along the way. It is funny how events that happen by chance can change you in a nano second. I believe I was meant to see those parents there yesterday. I believe that I was meant to remember Kyd as a baby and that it was a sign that that part of my life may be over and lost… but it is still there deep down. I believe this was a sign that there is a new me starting from now. A positive, forward thinking, happy me. I’m looking forward to meeting her already. Further reading on Down Syndrome and children with special needs over on Netmums. This entry was posted in Blog of the Week, bloggers, motherhood, Mums, Uncategorized and tagged special needs. Bookmark the permalink. Such a powerful post, Alice. You’re such a strong woman and a fabulous mum to your boys. I’m sure they’re very proud of you! What they all said. You are amazing. And look at you and Kyd 10 years ago – both stunners! That post articulated many feelings I have had and I loved it. Thank you. That articulated many feelings I experienced, thank you.